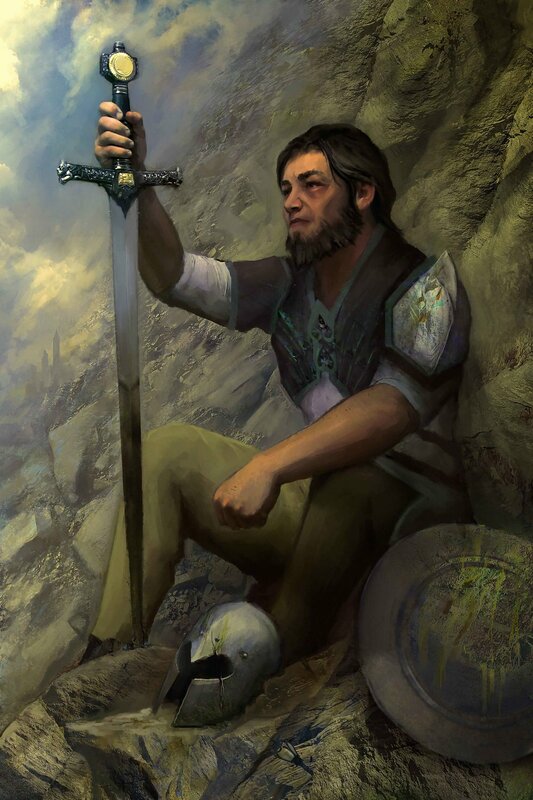 The initial arc of Wellspring: Altar of Roots follows Bodom and his companions through the Western regions of Onich – each being pursued for different reasons by the forested nation of Auvane, a war-hardened country with experience fighting the Kelvari. 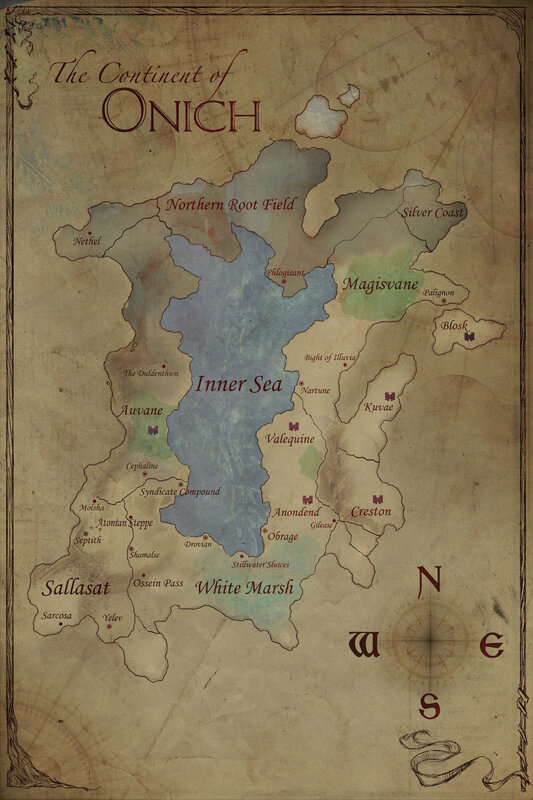 With the conflict against the Roots winding down momentarily, Auvane sets its sights on the vast swaths of unclaimed territory to the South – much to the chagrin of others who seek to limit their power. Multithreaded Games currently consists of a small but dedicated core team of two lifelong friends and Portsmouth, Ohio natives Derek Bradley and Andy Fenton. Having met in third grade, the two immediately bonded over their mutual admiration of video games (particularly RPGs) sparked initially by the game Earthbound. Sometimes they’d even hang out and play different RPGs on separate TVs – one stacked atop the other. Oh yeah, the TVs were giant abominations back then, so that sort of thing was possible! Having long accepted the fact that they were nerds, the two friends decided to go all the way with it – endeavoring to one day create an RPG themselves. In particular, they were interested in turn-based RPGs – namely the Final Fantasy series and other ‘90s SquareSoft (and other) gems ... including Vagrant Story, Parasite Eve, and Suikoden (just to name a few). From a gameplay perspective, this particular style was appealing because it required some level of planning and strategy – elevated even further by games like Final Fantasy Tactics and Ogre Battle, which featured more large-scale and team-based battles. Ultimately, it was the desire to combine the quicker engagements of typical turn-based/JRPG battles with the tactical aspects of strategy RPGs that led to an initial rough draft of their envisioned combat system. Mainly, they simply wanted a battle system that allowed the character as much freedom as possible while still retaining turn-based aspects – a system that felt more ‘action-y’ without the restrictions of the grids commonly found in tactical RPGs at the time. They had also latched on heavily to the skill-charging mechanics found in Final Fantasy Tactics as well as the combo/skill-chaining systems found in several other combat systems. Around that same time, Derek had become intensely interested in writing fiction – and as a high-schooler, he began drafting what would eventually become the backbone of the plot of their envisioned RPG. Influenced mainly by the mammoth plots of games like Xenogears and Shadow Hearts, the game’s setting was inspired by a nearby pond (yes, the developers went outside on occasion!) – and an imagining of that immediate area as a scaled-up version, ultimately resulting in the idea of an isolated continent with a massive “Inner Sea,” on which the story would unfold. Even though they had many of the pieces conceptually, there was still the ultimate question of how they would be able to obtain the necessary skills. Luckily for them, they learned that a brand-new Digital Simulation & Gaming degree was being offered through a local university – and after high school, they enrolled in the four-year program ... well on their way to achieving their dream. 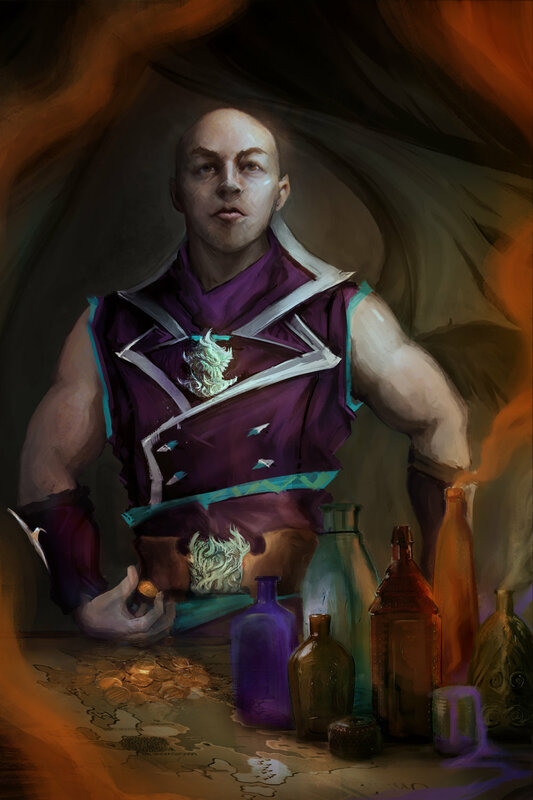 However, reality struck soon after graduation; full-time work on an indie RPG wasn’t exactly going to pay the bills. So they joined the corporate workforce instead – and for the next 6-7 years, they developed software for a local company … each gaining valuable experience working on large projects in collaborative environments. All the while, they continued to discuss and think about developing their own RPG. As time marched on, and after a series of sometimes sober pep talks, they decided to take the plunge in 2015 – quitting their full-time jobs and officially incorporating Multithreaded Games with the sole focus on developing Wellspring: Altar of Roots, based on a ‘novel’ that Derek had written some 15 years prior. For them, the game they wanted to make required more attention and focus than they would ever be able to devote part-time – and while many of their peers and family warned them that it would be a risky move, they tended to agree wholeheartedly … but did it anyway. Nevertheless, after 2-½ years of development, they’re still alive (but severely malnourished) and have made significant progress toward achieving their goal: Most of the fundamental mechanics of Wellspring: Altar of Roots have been implemented; the general plot, characterization, events have been fleshed out; and for just two programmers, the visual quality has far surpassed anything that they imagined. With such a large portion of the game completed already – and with their limited resources ever-dwindling – the duo is turning to Kickstarter for the last big push to help propel the game over the finish line.